Last week we witnessed Riga vs Bratislava, and as we come to the fourth and final week of our fierce city battles, we welcome two strong contenders to the ring; Amsterdam, a classic stag city which is well known for its sinful red light district, and the other, Tallinn a newcomer to the stag party scene that’s on the rise in the popularity stakes. We’ll provide you with everything you need to know about these two awesome cities to get you inspired for the upcoming stag do – from daytime activities to evening ideas, we’ve got it all covered, so read on and discover more about these great destinations…so for the last time, there’s just one thing left for it…FIGHT!! 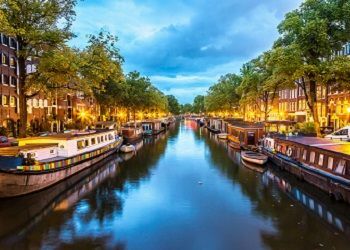 Amsterdam: Famous for its notorious red light district, canals and coffee shops (not to be confused with cafés) which serve up more than just hot beverages, Amsterdam is one of our top selling stag destinations and a bit of a classic if we’re honest. 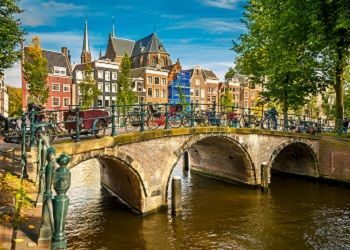 The capital of the Netherlands is an average of just one hour’s flight time from the UK, so it’s pretty convenient if you’re looking to escape the British Isles for the weekend. You’ll find plenty of great activities that don’t revolve around coffee shops though, and the club scene here is pretty massive, so you can be sure that good times will be had by the whole party. 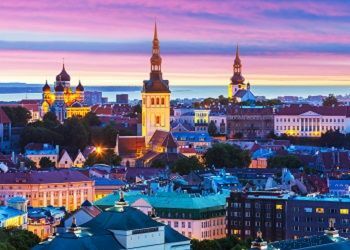 Tallinn: Estonia’s capital, Tallinn is a preserved medieval city that’s growing in popularity for stag weekends; it’s a great destination for those opting to choose an EU city that’s not one of the usual suspects and wanting somewhere a bit different. Tallinn provides all the ingredients you need to cook up an incredible and memorable stag trip for the entire group - there’s so much more to this city than just the Old Town’s cobbled streets. There’s an awesome choice of daytime activities which will get your blood pumping, and a lively, buzzing nightlife which offers a copious amount of top watering holes, not to mention plenty of after dark delights in the form of lap dancing clubs. Amsterdam: There’s no best or worst time to visit Amsterdam, as there’s so much on offer in this Dutch city throughout the year. Generally, most travellers going to Amsterdam arrive between April to September, when the temperature picks up and the days are longer. Saying that though, a winter trip to Amsterdam is just as fulfilling, with its great array of activities and local attractions. If you time your stag trip for August, you may coincide with the popular Lowlands Fringe Festival, where you’ll be able to check out a whole host of comedy, bands and street theatre. There’s also Pint, which takes place in October. As you probably guessed, this is Amsterdam’s largest beer festival, so make a point of checking it out if you’re in the area in October. Tallinn: Weather wise, the best time to visit Estonia is in the warmer months between April and September, with July and August being the hottest months to visit - the winter can be pretty chilly, however if you’re happy to wrap up warm and sport those thermals, you’ll have a ball! As far as events are concerned, there’s loads happening throughout the year; Tallinn Day falls in May and is a superb time to be around in this medieval city; you’ll get to enjoy a day that’s dedicated to music and great food! Another must visit event is Ollesummer, which is a whole day devoted to fun taking place in July – you’ll be able to enjoy beer, live music, rides and so much more as the entire city comes alive for one massive party! So if you’re thinking of popping over for the stag do during this month, then make sure you time it with Ollesummer for an electric atmosphere! Amsterdam: Wondering what to do in Amsterdam on your stag weekend? We’ve got loads going on for you and the guys to get your teeth stuck into, so there certainly won’t be any traces of boredom whilst you’re visiting this city. For starters, how about cruising around Amsterdam’s famous canals on a private boat tour? You’ll get to witness the scenic city from the waterline and receive free drinks too. We also offer this boat with pizza too if you and the lads fancy enjoying some food on your tour. Perhaps you’d rather discover the city on an amusing beer bike? You’ll be driven by a (sober) chauffeur whilst you and the guys peddle away – there’s also beer barrel on board (20 litres to be precise) so if you’re thirsty, you’ll be within easy reach of a drink. Another popular stag activity in Amsterdam is the Heineken brewery tour, which is a must whilst you’re here. You’ll get to experience a sensational interactive tour, where you’ll get to taste samples, and enjoy two free beers in the Heineken bar. Of course, there’s also some stag classics such as paintballing or bubble football to choose from, so you’ll really be spoiled for choice! 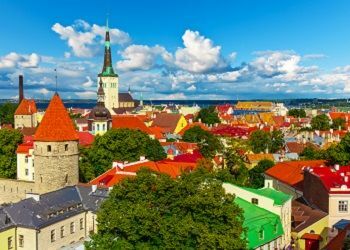 Tallinn: If you’re thinking that Tallinn is just a historic city with a few good pubs, then you would most certainly be wrong – there’s a massive selection of great activities to choose from for your stag do in Tallinn. If you’re looking for something packed with adrenaline, then how about an energetic paintballing session? Located just outside of the city, you and your group of stags will get to ambush one another using your semi-automatic paintball gun, before running for your lives..just make sure that the stag is your prime target! You’ll be equipped with everything you need during this session, including uniform, mask, gloves and 200 paintballs. 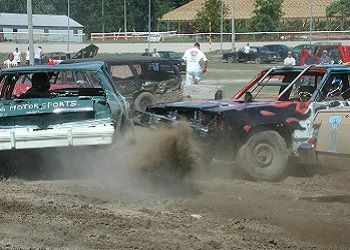 If that’s not for you, then there’s a great demolition derby experience available – you’ll get to drive old Russian cars such as Ladas and Moskiviches around a dirt track, at a fast speed and smash into each other; it’s pure carnage! For something more relaxing, then there’s always a relaxing spa where you’ll get to indulge in a variety of saunas and swimming pools. You’ll leave the spa experience feeling completely rejuvenated. Amsterdam: The heartbeat of Amsterdam’s nightlife takes place in the canal ring of the city – here you’ll find a great selection of bars and nightclubs, but if you’d rather not waste time traipsing around the city looking for some decent watering holes, why not let us do the hard work for you? We can hook you up with an awesome bar crawl; you’ll be given a guide who’s got some incredible knowledge of this city – they’ll take you to some of Amsterdam’s hottest bars, but you better prepare yourself, this one’s going to be messy! You could even do this bar crawl with a twist and throw a canal boat into the mix! Of course, there’s always the opportunity to visit the red light district, so why not take part in a guided tour, where your expert guide will show you all the hidden gems in this notorious area, and will teach you everything you need to know about the district and everything else that goes with it. To finish the night on a high, you must visit one of the city’s amazing nightclubs, where you’ll get to experience incredible DJs, who will really put you in the mood to party well into the early hours! 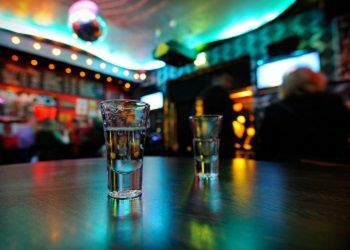 Tallinn: When you head out in Tallinn in the evenings, you’ll quickly come to realise that the nightlife is pretty out of proportion given its small size; although this just means that there’s more variety on offer for visitors - the massive range of bars, pubs and clubs is simply insane! 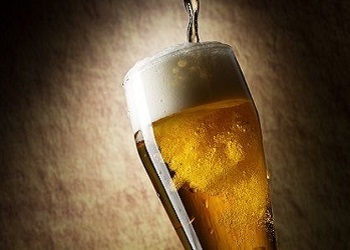 Much like Amsterdam, we would definitely suggest taking advantage of one of our guided bar crawls, as this will save your time when trying to research the best places to drink in Tallinn. You’ll get a friendly female guide who knows the best spots to hit up, so you can really discover the best of this Estonian city. Also, as a cheeky bonus, the first five beers are complimentary! After the bar crawl, you and the rest of the guys will receive VIP entry to one of Tallinn’s top lap dancing clubs; let us tell you something, these girls are absolute stunners! Perhaps you’d prefer a hearty meal to line your stomachs before kicking off the stag shenanigans? If so, how about a lovely portion of steak? We can also throw a stripper into the mix too, so it truly is a case of rump and grind! 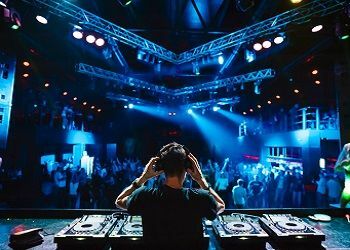 If you’re more of a clubber, then you’ll be pleased to know that the clubbing scene in Tallinn is absolutely buzzing, so there’s plenty of choice. As it’s your stag do, you may as well go all out, so why not opt for our incredible VIP club entry option? We’ll send you and the boys off to one of the city’s best clubs, and you’ll even have your very own reserved area, so all you need to worry about is what shots you’re going to get the stag to down!